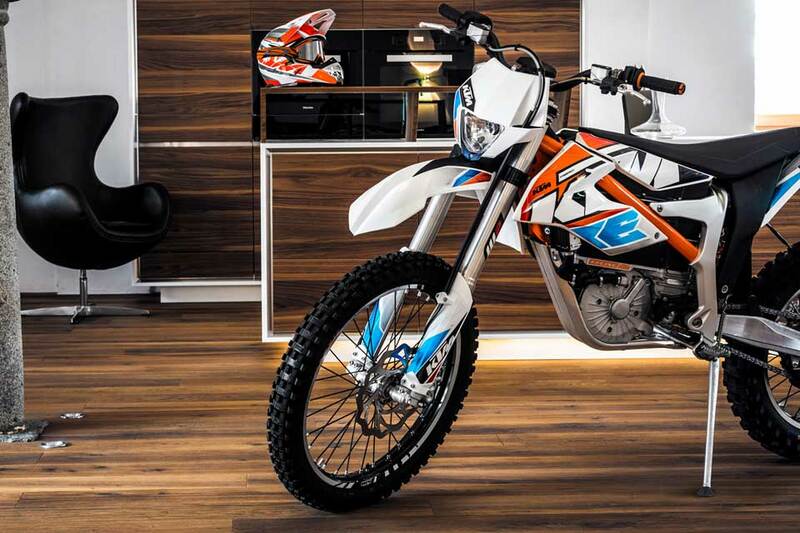 KTM has announced that the 2017 Freeride E-XC, an electric version of the Freeride 250R dirt bike, will be expanding from Europe to the American market. KTM insists that the motorcycles in their E-Ride line are surprisingly just as sporty as their gasoline counterparts… Encouraging skeptics with tagline such as “Never Say Never” to the “Infinite Possibilities.” No gears, no clutch, no kickstart, no fluids… The E-Ride bikes make zero emissions and are quiet. Some may miss the ‘braaap’, others will appreciate the stealth. Other E-Ride models that have been available in Europe since 2015 are the E-SX off-roader and the E-SM supermoto. 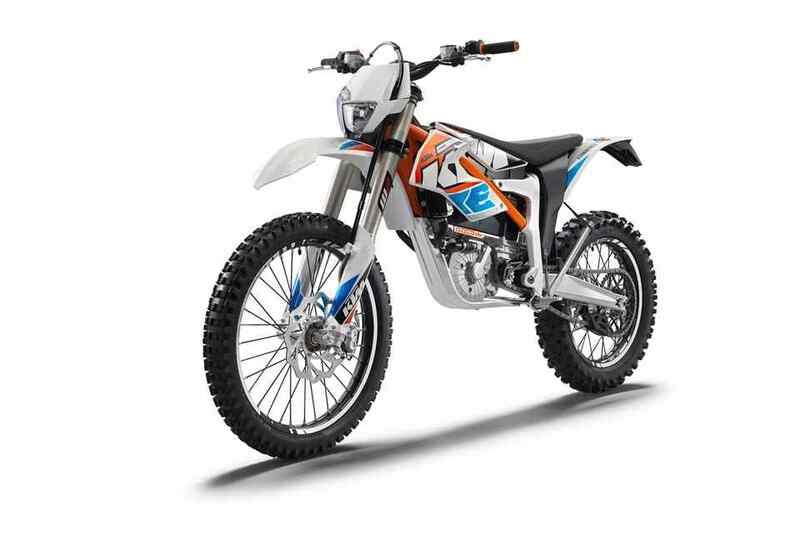 A pilot program will distribute a limited number of the Freeride E-XC dirt bikes through selected dealerships in the US at lower introductory prices. 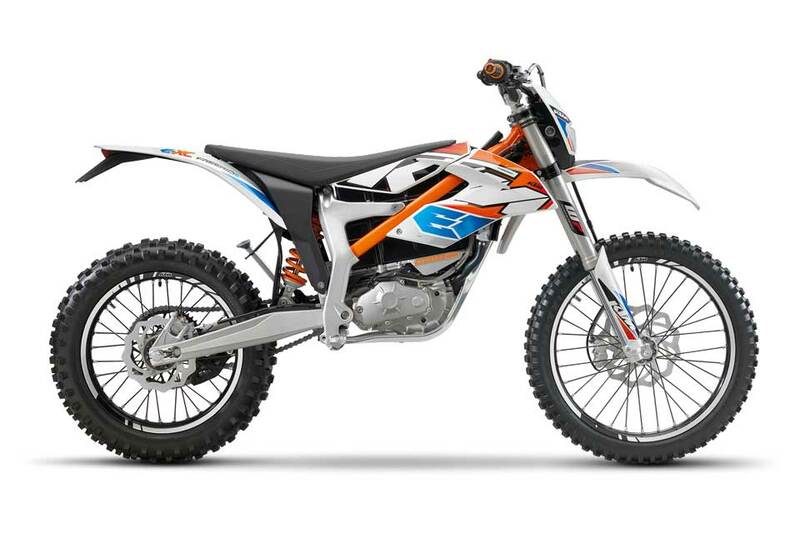 The 2017 KTM Freeride E-XC is a street legal dirt bike with a lightweight perimeter steel-aluminum composite frame. It runs on a permanent-magnet synchronous motor that delivers maximum power of 22 PS (16 kW) at 4,500 rpm and 42 Nm of torque — with a continuous output of 15 PS (11 kW) at 5,500 rpm. The motorcycle is liquid-cooled and uses an easily removable 260V, 2.6 kW-h lithium-ion battery, called a KTM PowerPack, that weighs 28 kg and takes 80 minutes to fully charge. For suspension, the Freeride E-XC gets 43mm WP inverted front forks with 250 mm of suspension travel, and an adjustable WP-PDS rear shock with 260 mm of travel and a cast aluminum swingarm. To help slow and stop, the bike receives a 260 mm front disc and a 230 mm rear. The environmentally-friendly trail bike features adjustable ride modes that range from Economy and Standard to Advanced.The KTM Freeride E-XC’s seat height measures at 910 mm, and ground clearance at 320 mm. Ready to race, it weighs in at 108 kg dry. A special program has certified 11 dealerships in the USA with technical training in order to service KTM’s new EV technology. The move provides selected dealerships with a limited number of the electric motorcycles to sell, at a special introductory price of $8,299. 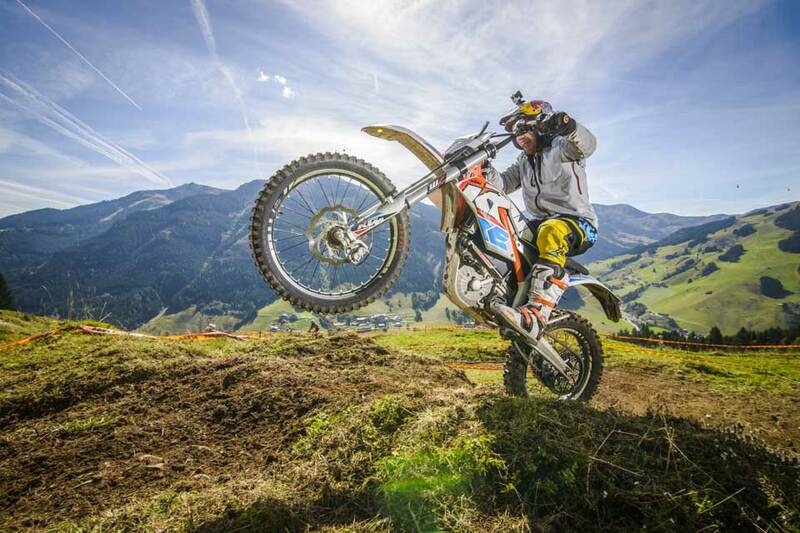 Shop around and discover the KTM Freeride E-XC Dirt Bike Motorcycle that interests you and fits your lifestyle. ... 2017 KTM Freeride 250 R in Countryside, IL. 1.